If you’re interested in starting your own business or simply investing in real estate, the time may come when you realize that it is necessary to obtain a commercial loan. Luckily, there are multiple institutions in place that can meet your needs for a loan. It is important that you do research and are knowledgeable and ready for the procedures of obtaining a commercial loan before beginning the process. 1. Do I Really need a Commercial Loan? Getting a commercial loan should only be done in situations that can’t be resolved by another manner. While commercial loans can help in the short term, they can be extremely hard to pay back. Do your research and make sure a commercial loan is the route you want to take. 2. Do I have All the Correct Documents needed to obtain a Commercial Loan? Every loan program is going to have its own documents and forms that need to be filled out. However, you will use multiple of the same documents on different applications. Before applying for loans, take the time to get these few documents in order. The following documents will most likely be used on multiple applications, and you can save time by reusing the information on them: personal background, resumes, personal credit report, business plan, business credit report, income tax forms, and legal documents. 3. Am I Prepared to Answer the Questions the Lender Will Ask Me? Why are you applying for this loan? How will the loan proceeds be used? What other business debt do you have? What assets need to be purchased? 4. What will I do with the Loan? It is important to have a mapped out plan of exactly how your commercial loan will be spent. Because it is such an expensive investment, money from the loan should be spent very wisely and every penny should be meticulously planned out. 5. Will I be able to meet Loan Requirements? Before going through with obtaining a loan, you should analyze the loan agreements and decide whether or not you can pay back the loan and meet the requirements. If you cannot or believe you may struggle tremendously with repayment, it may be wise to search for another option aside from obtaining a commercial loan. 6. How long will it take me to obtain a Commercial Loan? It is important to understand how the process works. Most people contact their bank when they are in need of a commercial loan in the form of a bank loan. 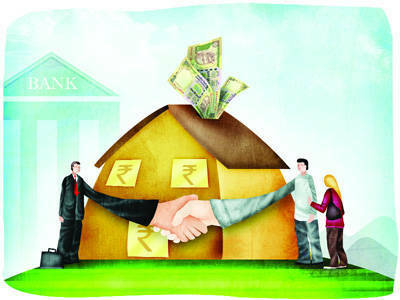 Bank loans go through many stages of review and have many different processes. If you are in a hurry or need to money quickly it may be a good idea to look for alternative means or try another outlet such as online for non-bank funders. 7. What is the Interest Rate on this Loan? Out of all factors of a commercial loan, the interest rate could be the one that impacts you as the borrower the most. Make sure you shop around to find the lowest interest rate possible to help you in the later stages of paying back your loan. By asking these 7 questions, you’ll help ensure you make the right decision when borrowing money for your business. Author Bio: – Jason Bengert is a professional blogger and works at Park Place Equity. He is a fun loving person and his areas of interest are finance and technology. You can connect with him at Google+.